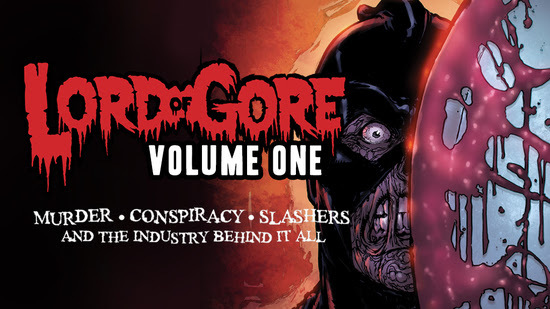 Devil's Due Comics just launched the Lord of Gore Volume 1 Blood Spatter Edition on Kickstarter. You can back this project and get more info HERE. For nearly thirty years, the Headsman has been terrifying moviegoers, and steadily building a body count. He carried the torch, when Freddy, Jason, and Michael faded from the spotlight. For screenwriter Danny Graves, it was a career-making assignment. Little did he know that it would end with a madman in a mask threatening to destroy his life, and murder everyone he’s ever loved.